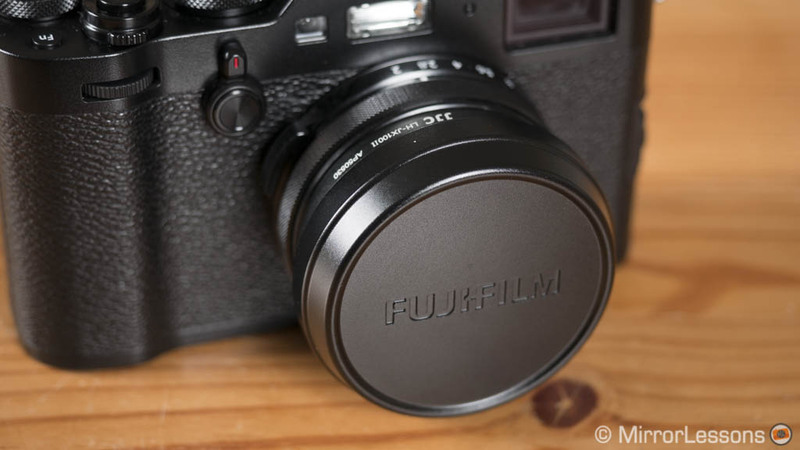 The Fujifilm X100 is my favourite fixed lens compact camera series and the latest model – the X100F – is the best version yet. It is a great companion for street or travel and can be an excellent complement to an interchangeable-lens system. Its design is simple, elegant and practical thanks to the various buttons and dials but of course, like most cameras, it isn’t perfect. 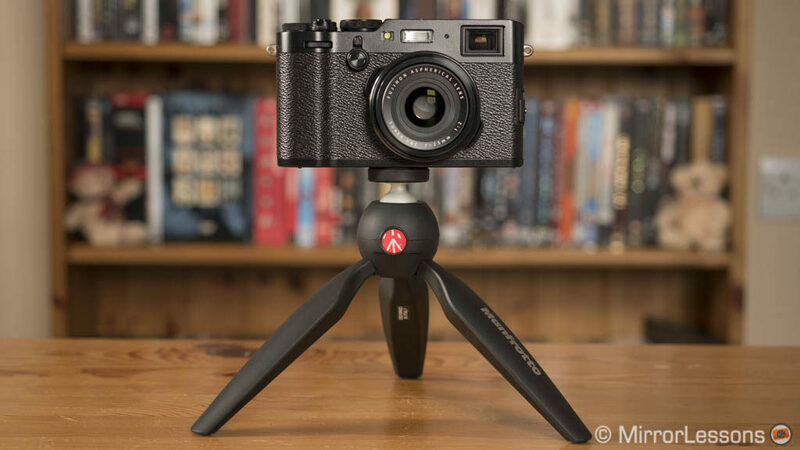 If the X100F is the camera you’re using the most, then a few extra accessories can improve the ergonomics, ease of use or even give your more focal lengths to work with. 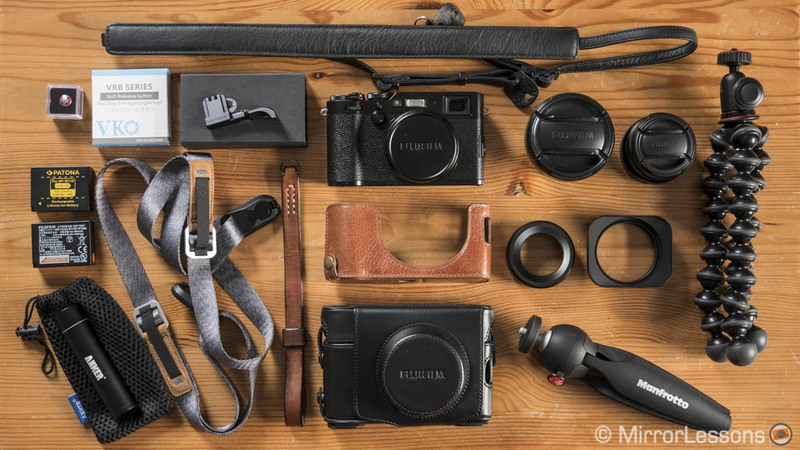 Just as with our Fuji X-T20 and Sony a6500 accessory articles, we’ve compiled this exhaustive list based on our experience with accessories we’ve personally tested and enjoyed using. Whether you’re looking for a nice strap, a grip or a battery recommendation, we’ve got you covered! 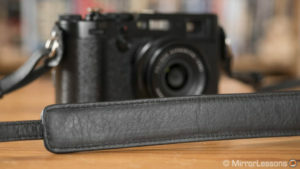 Suggestions: as you can imagine, it is impossible to try all the X100F accessories in existence. If you would like to suggest something that you find useful, don’t hesitate to let us know in the comment section. X100F / X100T / X100S / X100: because all the X100 models share many characteristics, I’ve specified the compatibility for each generation of camera. Ethics statement: We bought the vast majority of accessories mentioned in this article but a few were sent to us for review purposes. 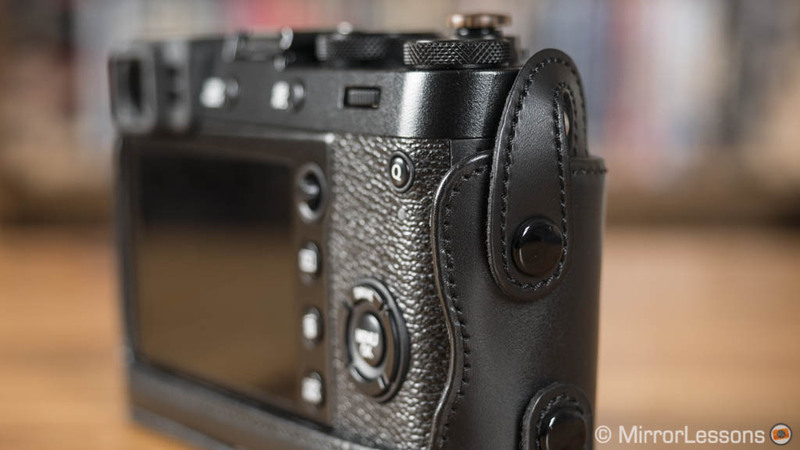 We made sure to only include accessories that we consider a good fit for the X100F. We were not asked to write anything about these items, nor were we provided with any sort of compensation. Within the article, there are affiliate links. If you buy something after clicking the link, we will receive a small commission. To know more about our ethics, you can visit our full disclosure page. Thank you! 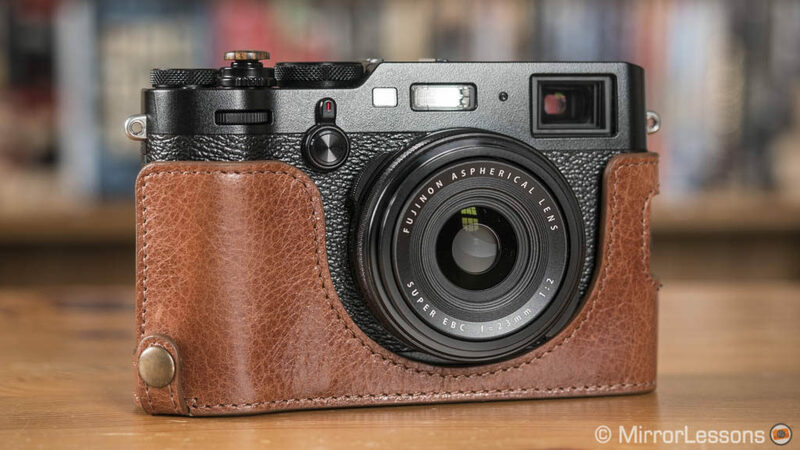 Leather cases can add an additional layer of protection to your X100F while giving it that extra vintage touch. 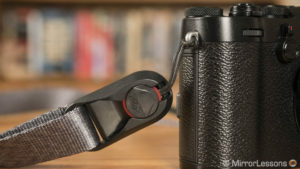 Since we’re talking about a non-interchangeable lens product, there are two types of cases you can consider: the half case or the full case cover. 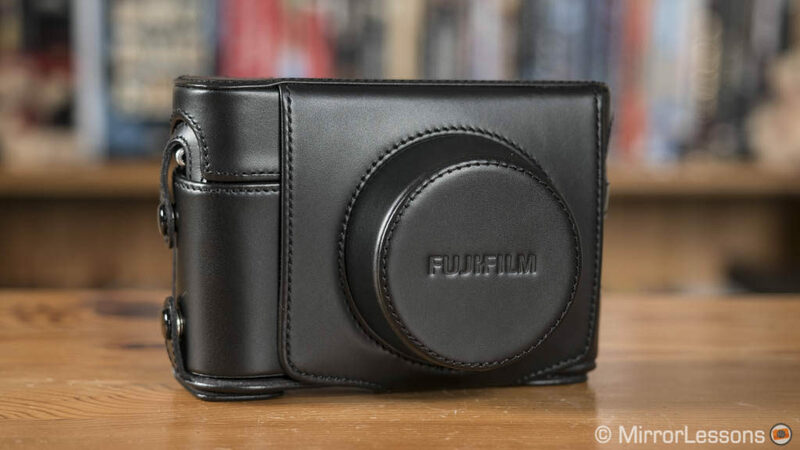 The official case from Fujifilm comes as a double solution. You can use it as a full body case or detach the top part and use the half-case on its own. 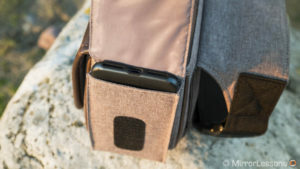 The half case is secured to the camera by wrapping the two side loops around the strap clips. If for some reason you don’t want to use a strap, I would suggest leaving the clips attached to the eyelets to stop the half case from moving. 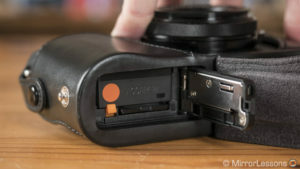 There is a space on the left side to access the focus mode selector but unfortunately the connector compartment on the right is covered. You can access the battery and SD card without removing the case. Note that there isn’t a 1/4”-20 socket so in order to use the camera on a tripod, you have to remove the case. The full cover is attached via the two press fasteners at the bottom. 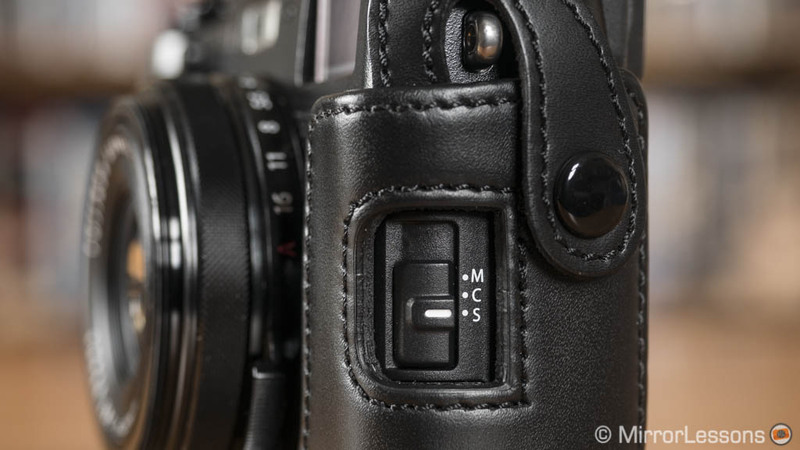 It matches the design of the camera perfectly and the magnetic closure is a nice touch. Accessing the battery is still possible although you need to unlock the press fastener first. 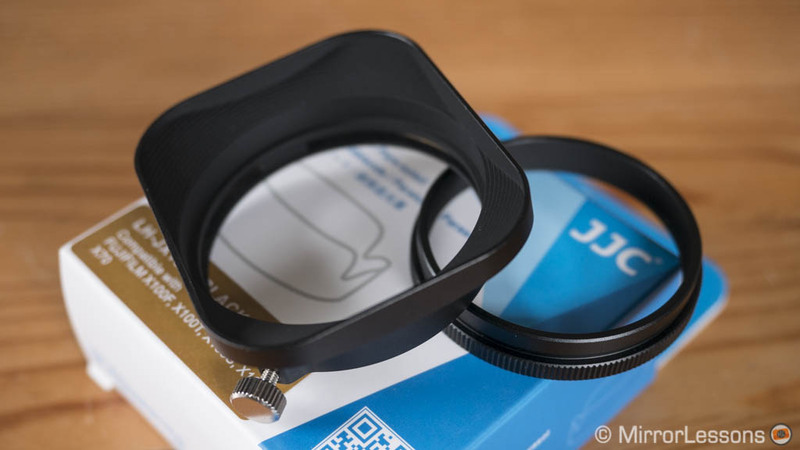 There is extra space to leave the JJC LH-JX100II lens hood attached or any accessory that is no longer than 20mm or larger than 50mm. A matching leather strap is included. 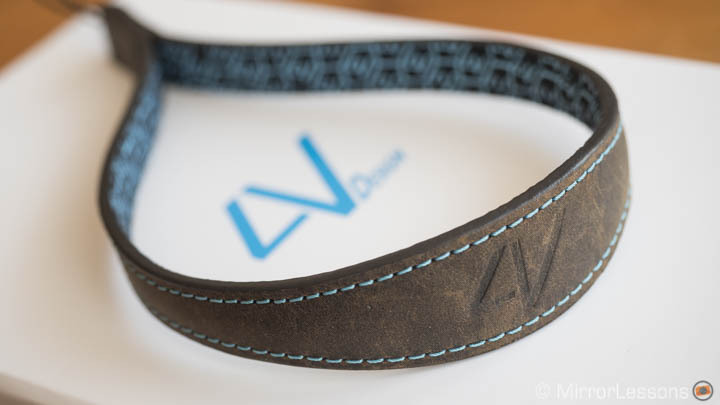 The build quality is good overall: the stitches look strong and the leather finish is smooth – a little too smooth actually. When you grab the whole case it feels a bit slippery and the half case doesn’t improve the grip of the camera either. Also consider that when using the camera, the cover hanging from the bottom can be annoying. You can remove it of course and use the half case on its own when you want to protect the camera. 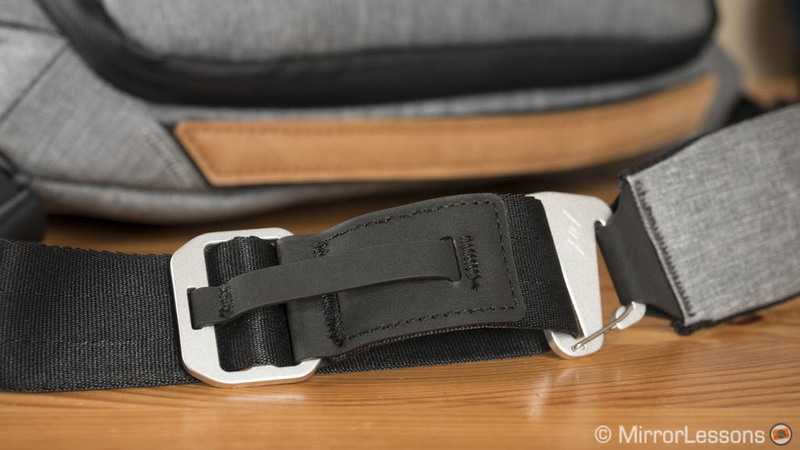 With a good strap it becomes a safe way to carry your gear around without the need of a bag. 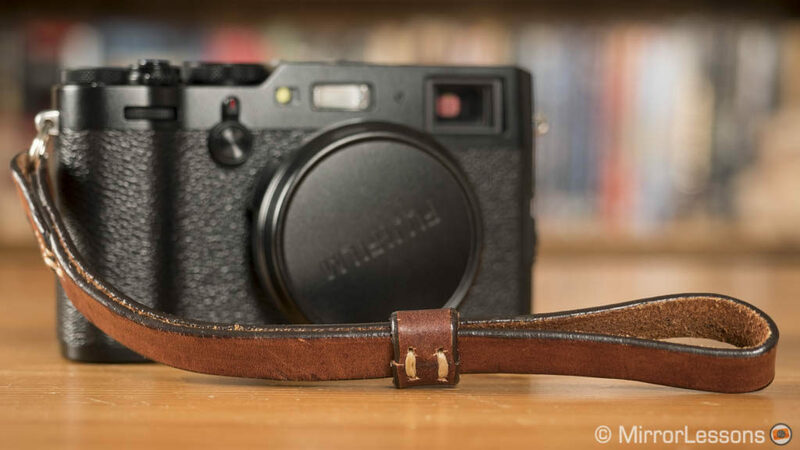 The LC-X100F comes with a matching leather strap and is available in black or brown. The price is certainly high but it does offer good versatility. Consider it if you really like the idea of a full cover solution. If you are only interested in the half case part or if you plan to attach other accessories to the camera, there are other solutions. Compatibility with the X100 series: the LC-X100F is specifically designed for the X100F which is slightly larger than its predecessors. 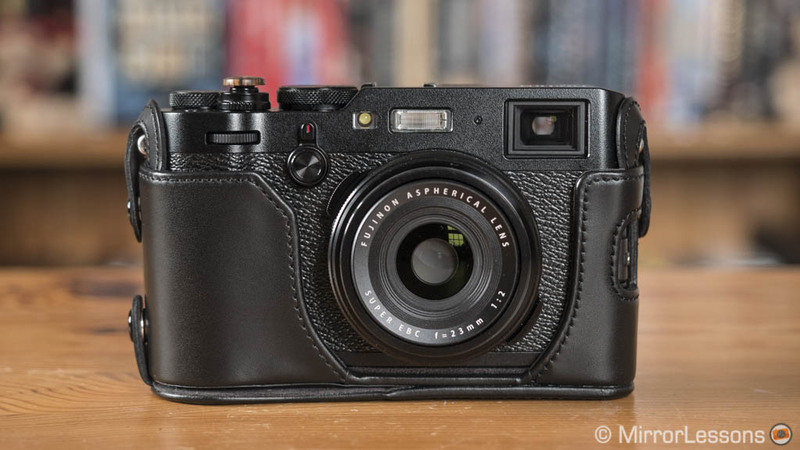 For the X100, X100s and X100T look at the LC-X100S version (Amazon). We’ve mentioned Megagear cases before because they have a reasonable build quality and an attractive price. 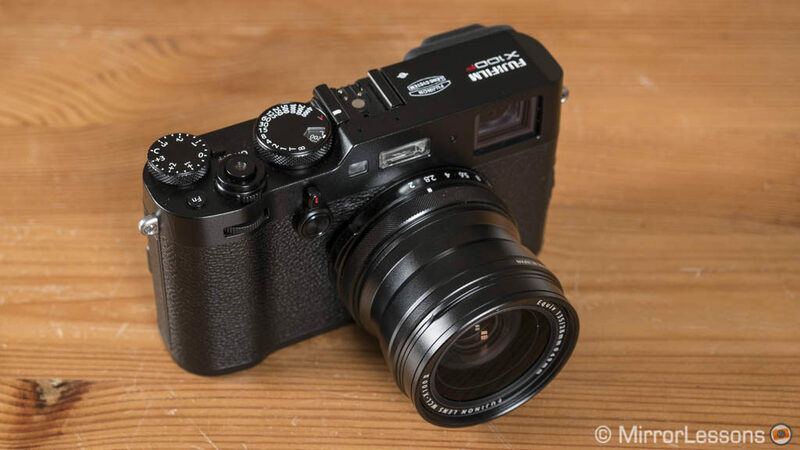 The X100F version is no different. In comparison to the Fuji case above, it has a more rugged finish which I find provides a better grip. It comes in brown or black. Some details look less precisely finished but it also gives it a more handmade feel. The stitches look robust however. 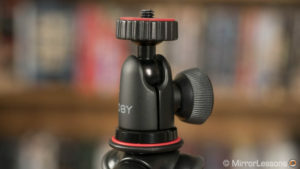 You attach the case to the tripod socket at the bottom of the camera but the provided screw has a threaded hole which means you can attach a tripod plate to the case directly. 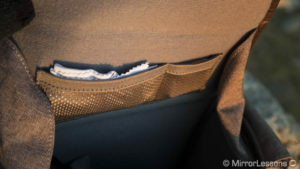 Be aware that prolonged use can leave some marks on the leather. There is access to the battery compartment as well as the focus selector and the connection ports on the sides. You can certainly find products with a more premium feel than this one, but when you see the price you realise that overall, it’s worth the money. You also get a strap with it which is very basic. It is made of nylon with leather accents. 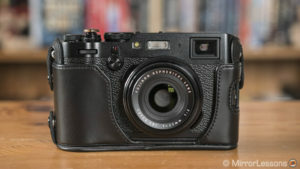 Compatibility with the X100 series: not this particular model but Megagear makes a similar case compatible with the X100s. For other models, you need to look at other brands. 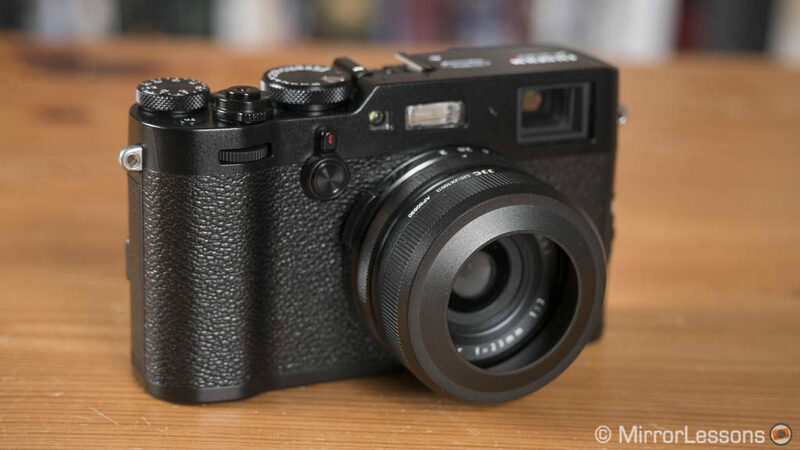 The X100F is nicely designed but doesn’t have a prominent front grip or any thumb rest on the rear. If you want to improve comfort when holding the camera, you can attach a horizontal grip to the bottom of the camera or insert thumb grip on the hot-shoe. They can even be used together for maximum efficiency! This accessory is a regular feature on our lists as we’ve been using them on many mirrorless cameras. It’s a minimalistic solution that enhances the ergonomics without increasing the size of the body. 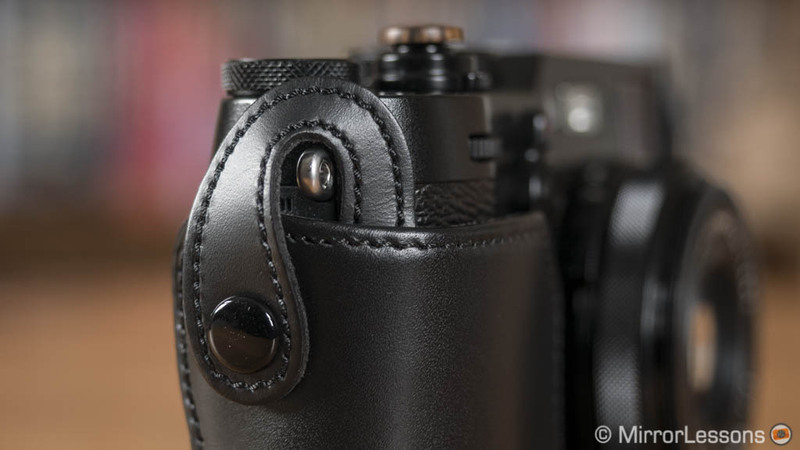 The grip is made of metal and is specifically designed for the X100F. 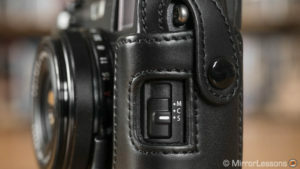 It features silicon inserts so that it doesn’t scratch the metal plates of the camera. 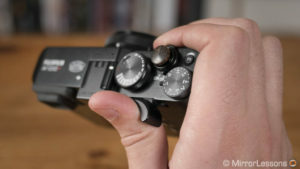 To rotate the shutter speed dial with your thumb or access the rear command dial, you can flip the grip backwards. I admit this can be a little annoying but it provides better access to the dials. 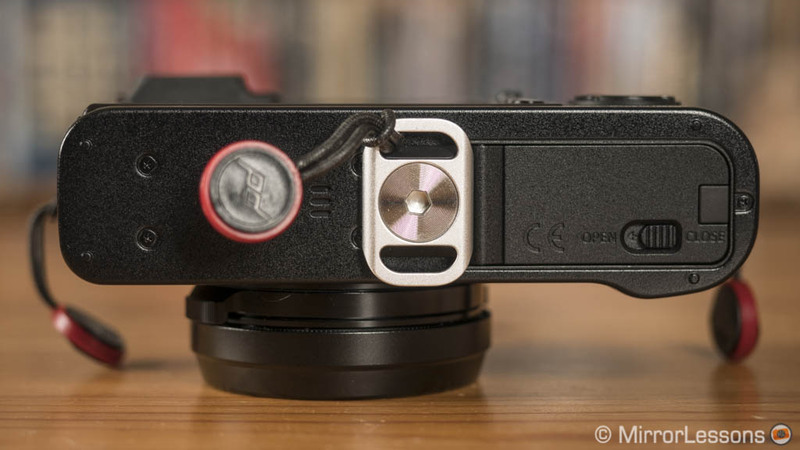 Compatibility with the X100 series: Lensmate has separate versions for the X100S (also fits the X100) and the X100T. They don’t have the flipping mechanism of the “F” version because the rear command dial is positioned slightly lower. 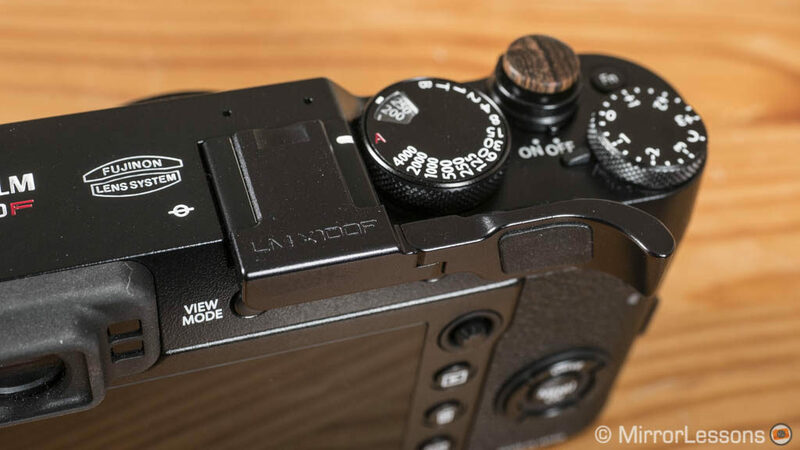 Like many other Fujifilm cameras, the X100F has a threaded shutter release button. You can use it to attach a small number of accessories and the most popular is a soft button. It enhances the tactile feel of the button and can reduce micro vibrations when shooting at slow shutter speeds. 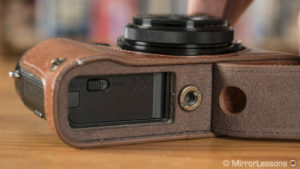 Last but not least, it can add a nice aesthetic detail to your camera. Every now and then, check that it hasn’t loosened. The first we’re recommending is also our favourite. The soft buttons from Lensmate offer a nice variety of original designs and colours. They are elegant and nicely built. They are more expensive though. An inexpensive product worth trying comes from VKO. You can find metal or wood versions and it’s the latter that grabbed my attention. 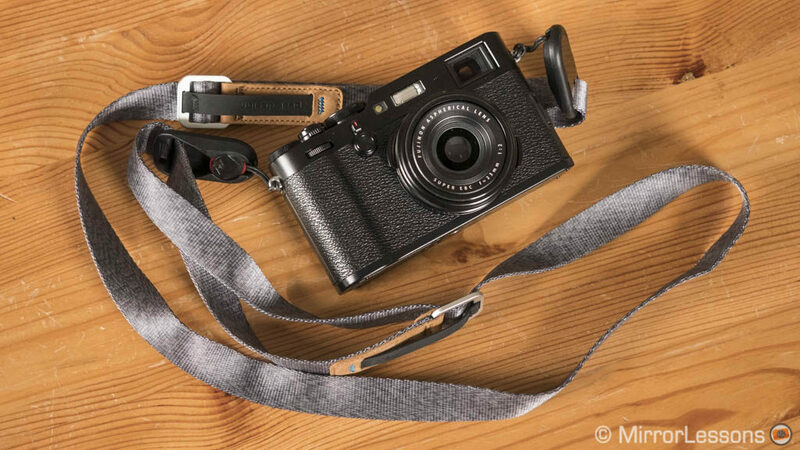 Wood feels nice to the touch and the texture gives a minimalistic yet elegant look to your camera. You can find different colours and shapes (concave or convex). 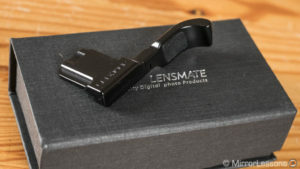 The build quality doesn’t feel as premium as the Lensmate product but the advantage is the price. Rear LCD screens include a protective coating but they won’t do much against a violent impact or a scratch caused by metal hardware. It’s always a good idea to invest a few bucks into protecting the monitor, just as you’d likely do with your smartphone. Here we recommend two brands that we’ve been using for a while on several mirrorless cameras without any issue. I’ve never had big issues with bubbles but it all comes down to how you apply it. Don’t rush, apply it step by step and spread from the centre towards the edges or carefully from one side to the other. If some bubbles appear, drag them out right away. 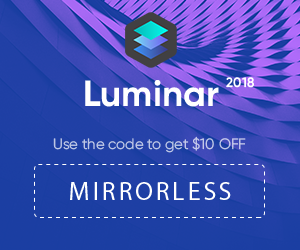 The Larmor is a thick screen protector (0.3mm) made of tempered glass and comes with black borders that match the screen of your camera perfectly, making it look like it’s part of the native design. It features nano coating and UV light protection. It comes in a nice plastic box and includes a wiping cloth. Because it is harder than other screen protectors, it’s very easy to apply once you’ve aligned the borders and it’s rare to come across any bubbles. However keep in mind that while its thickness makes it more resistant to strong impact, it can also break more easily or wind up with a distinctive crack. In that case you’ll probably need to buy a new one. 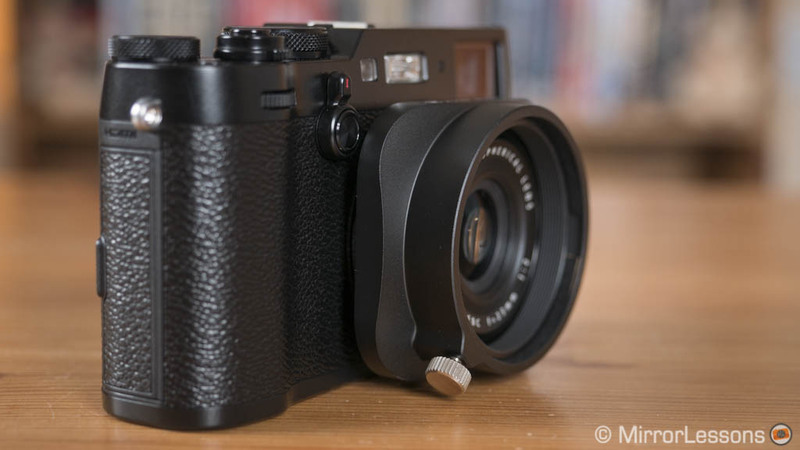 Compatibility with the X100 series: Yes for the X100T. The X100s and X100 have a smaller screen (2.8 inches) and it looks like GGS doesn’t sell those versions anymore. 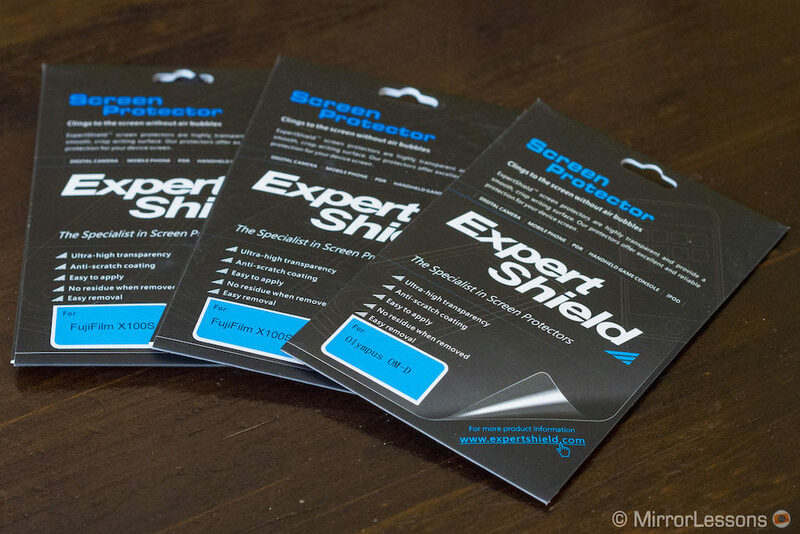 Expert Shield is the first brand we ever tested four years ago and it’s still one of our favourites. Reasons for this are the low price, the quality of the screens and the choice of different types. 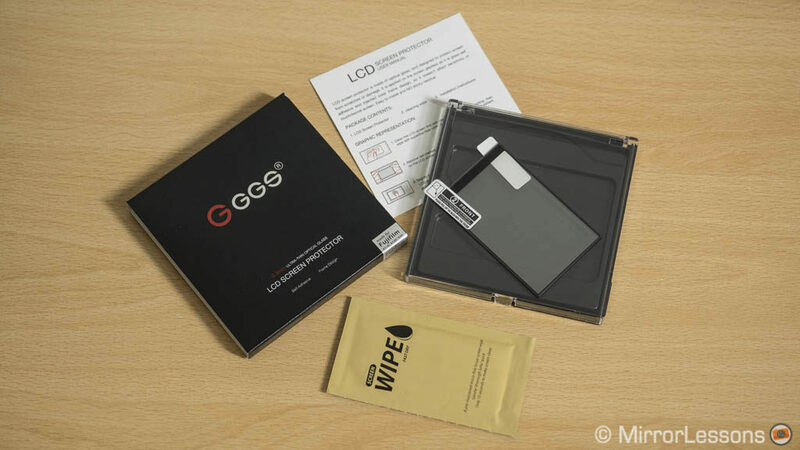 The Anti-Glare version uses a special matte finish to reduce reflections, the Glass version is thicker (0.28mm) and the Crystal Clear version is thinner (0.15mm). They are easy to install or remove and come with a cleaning cloth. 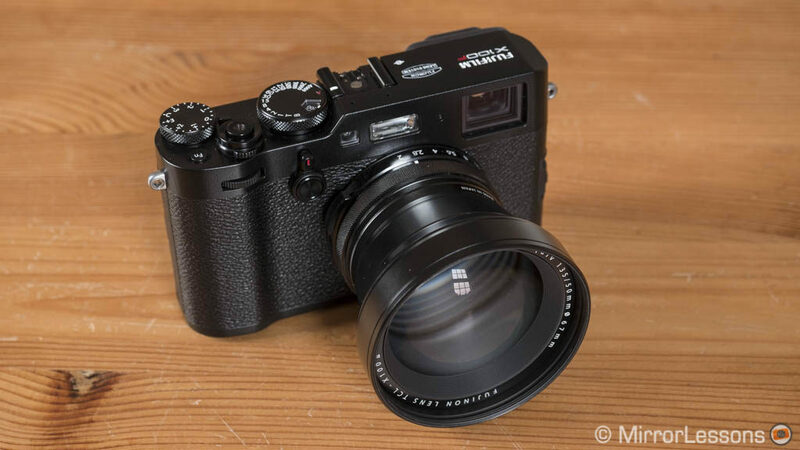 Compatibility with the X100 series: Yes for the X100T. The X100s and X100 have a smaller screen (2.8 inches) so make sure to select the right version. The X100F doesn’t come with a lens hood, so it’s definitely one of the accessories I recommend the most. It offers extra protection and cuts off flare. 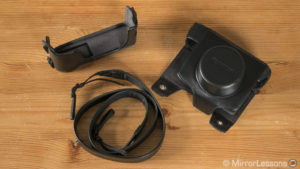 The official hood from Fujifilm is quite expensive for a piece of metal but fortunately there is JJC that not only offers a better price but various solutions as well. The JX100II has a discreet rounded shape that isn’t larger than the diameter of the lens. This is good for two reasons: it doesn’t get in the way of the optical viewfinder too much and you can put the original lens cap on it. 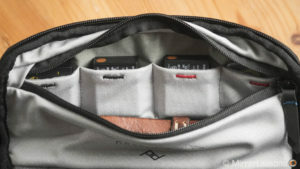 It also fits inside the Fuji full cover case we described at the beginning. If you remove the front part, you can attach a 49mm circular filter. The metal construction is good and you can choose between silver or black. The only limitation to be aware of is that it, like any other lens accessory, casts a shadow on the bottom of the image when using the built-in flash. The JX100F has a more distinctive square design. The quick locking screw makes it easy to insert or remove without the need to unscrew the ring. You can also mount it backwards to gain extra space when storing the camera. Like the other hood, it gives you the opportunity to attach a 49mm filter. There a few more downsides: reversing it doesn’t stop it from casting a shadow with the built-in flash and it partially gets in the way of the OVF. The build quality is good but the internal ring, whose job is to create friction when locking the hood, has the tendency to pop out a little. It comes with a 49mm filter thread option as well. 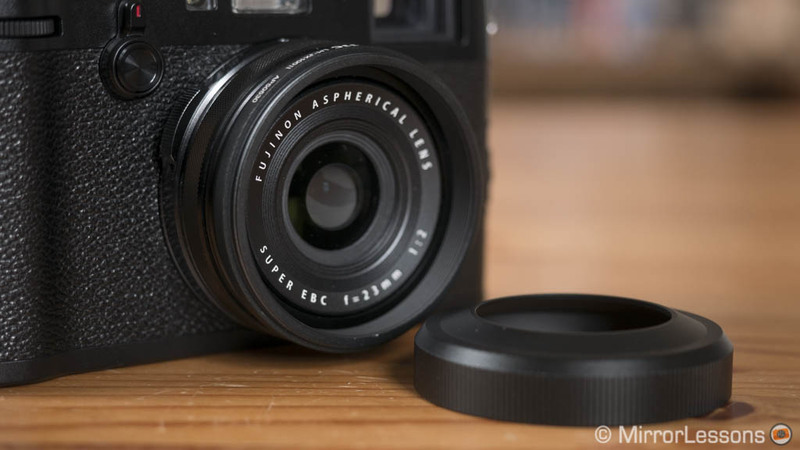 The X100F features a fixed 23mm lens, which in APS-C terms gives you the same field of view of a 35mm lens for 35mm format cameras (full frame). In my experience with these cameras, I rarely found the fixed focal length a limitation. If a scene didn’t fit into my frame, I would simply move closer to capture an interesting portion of it. What’s more, I’ve always liked the compact size of the camera, so adding additional elements to it was never really a consideration for me personally. That being said, I understand that sometimes you might wish for something wider or longer. The X100F features a digital tele-converter option, but what if you could have an optical solution rather than software trick? Fujifilm has designed two converters that give you two additional fields of view and sort of transform the camera into a mini system. The WCL-X100 enlarges the field of view by 0.8x (28mm equivalent). It is compact, light and doesn’t alter the weight or balance of the camera. It has a solid metal build but comes without a lens hood. However, the JJC LH-JX100F mentioned above can be attached to the converter. 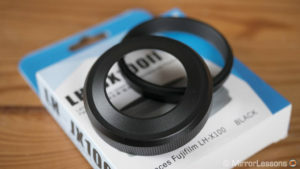 Alternatively the official Fuji LH-X100 or the cheaper JJC LH-JX100 hoods will work. To attach the WCL, you unscrew the protective ring on the camera’s lens (the same one you would remove to mount a hood) and screw on the converter. 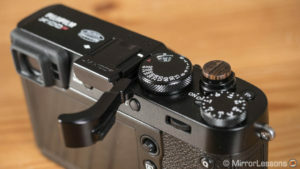 The X100F will automatically recognise the mark II version of this converter thanks to a built-in magnet, which means you don’t need to activate the software correction inside the menu. It will also display matching bright frames in the optical viewfinder. 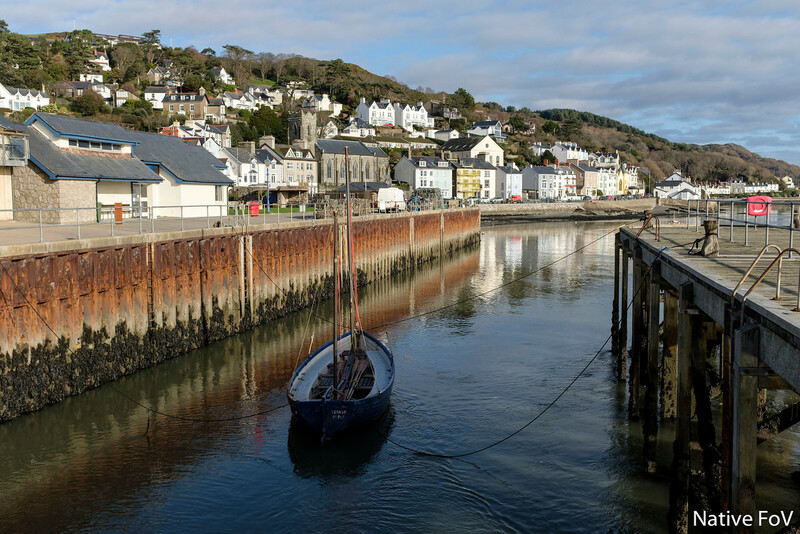 Concerning the optical quality, the converter softens the image a little at the centre and in the corners from f/2 to f/4 in comparison to the native lens. The best performance is found between f/5.6 and f/11. The minimum focus distance remains the same (10cm) but sharpness is noticeably worse at the fastest apertures, which is a problem of the native lens as well. 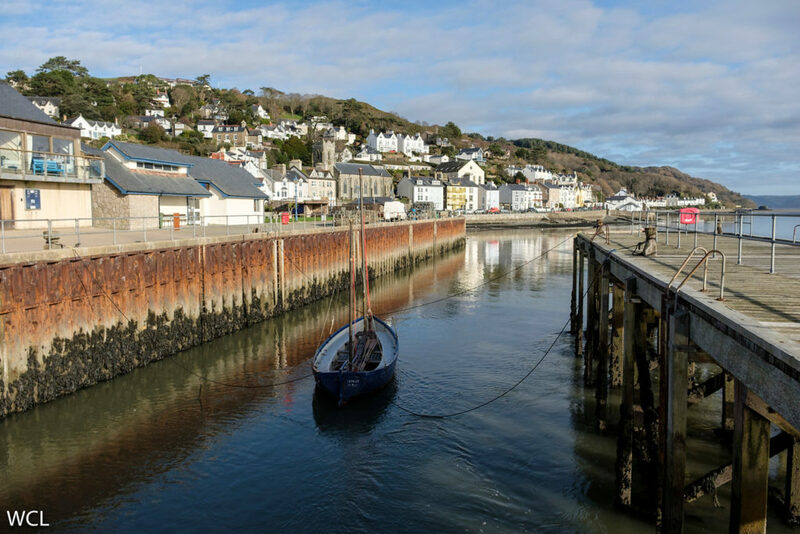 Flare resistance is excellent while there is some visible barrel distortion that can be minimised with the lens profile in your RAW editing software. I haven’t noticed any decrease in autofocus performance. As for the price, you can find it new for around $300 which is definitely not cheap. You may well find the previous version of the WCL for less but in many stores, it is actually more expensive. It is available in black or silver to match your camera’s colour. Compatibility with the X100 series: Yes, the only difference is that previous cameras won’t recognise the converter automatically, so you need to remember to activate the option in the menu manually. The TCL does exactly the opposite, magnifying your image by 1.4x and giving you a 50mm equivalent field of view. The build quality is excellent once again but the teleconverter is larger and heavier than the WCL. Finding a lens hood is more of a challenge as you need one that can fit the 67mm filter thread. The mark II version will be recognised automatically by the X100F so you don’t need to worry about activating the setting in the menu. The OVF will display the correct bright frame and real time parallax correction but be aware that the large diameter of the converter partially covers your field of view. Obviously with the EVF there isn’t such a problem. Sharpness is a little weak before f/4 and the peak performance is found at f/8 but the corners are noticeably better than the WCL as expected. Flare resistance is good here as well while some distortion remains visible without the lens profile. 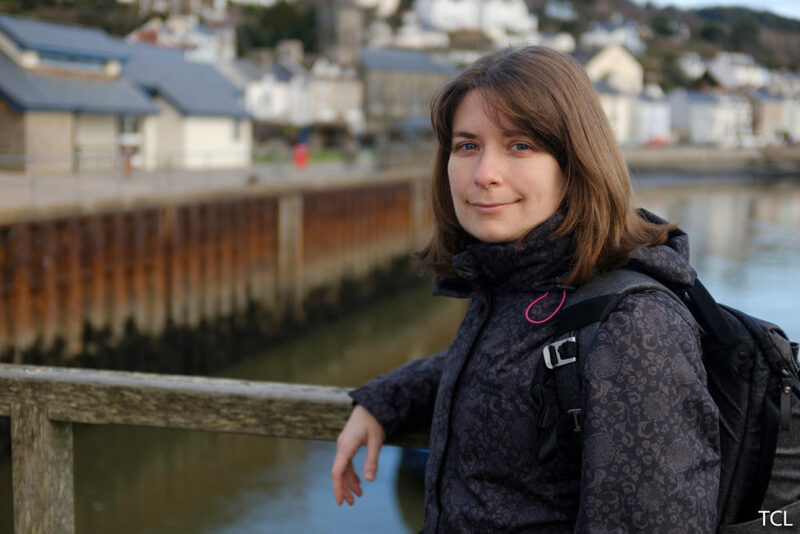 One area where the TCL can help is with portraits: the image is magnified, and so is the shallow depth of field, which means there is more separation between the subject and the background. The price is more or less the same as the WCL and you can find it in a black or silver finish. The previous version (TCL-X100 without the II) will work fine on the X00F but you have to activate the correction manually in the menu. 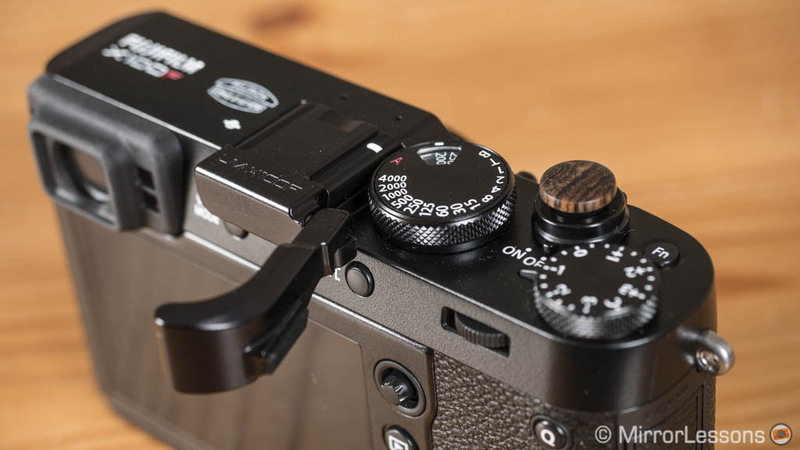 Compatibility with X100 series: Yes but previous cameras won’t recognise the converter automatically, so you need to remember to activate the option in the menu manually. 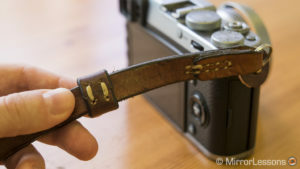 A strap is usually the first accessory that you start looking for when you aren’t satisfied with the one provided in the camera box. Fortunately there is a great variety of types, brands and materials to choose between. The second generation of the Leash strap is rapidly becoming one of my favourites unlike its predecessor. It has a nice design and is made of robust hypalon and nylon webbing, which makes it comfortable and resistant. 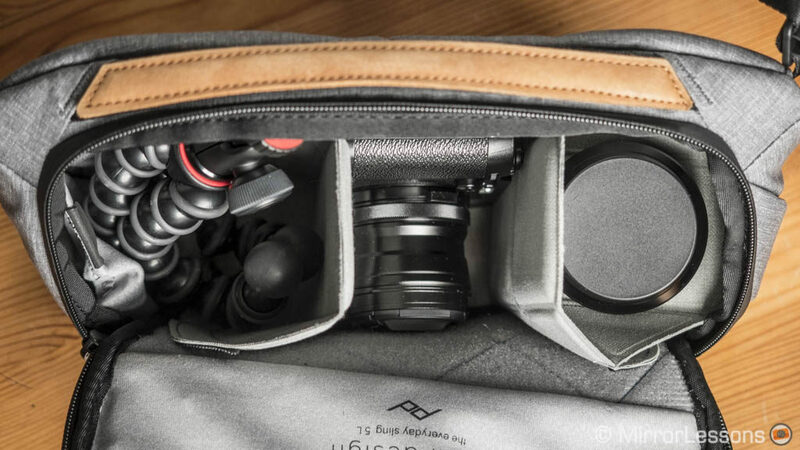 The small size makes it easy to fold or wrap around the camera when putting your gear away. 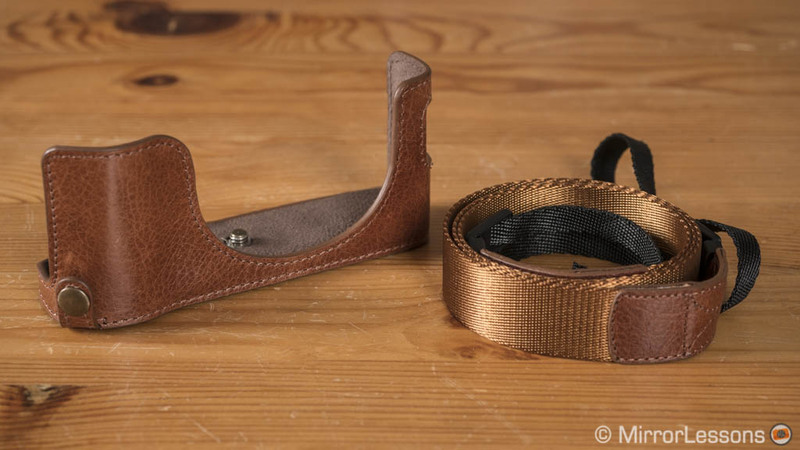 The two quick adjusters allow you to change the length of the strap very quickly. You can carry your equipment traditionally around the neck or over the shoulder. Included in the package is an aluminium plate that you can attach to the bottom of your camera and 4 anchor links that you can slide into the eyelets directly. The quick release mechanism of the anchor links means you can detach the strap in a heartbeat. Two colours are available: ash with leather accents or black with hypalon accents. Last but not least it comes at a reasonable price. 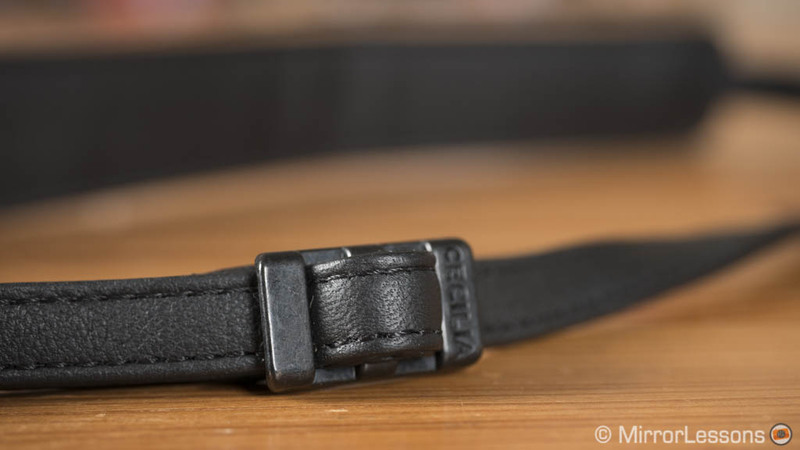 The Cecilia is an elegant and discreet strap made of full-grain soft black leather. The larger shoulder pad provides comfort when carrying the camera around the neck. 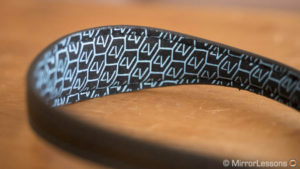 The quality is excellent but the strap remains relatively thin, which makes it easy enough to fold. You can adjust the length on either side of the strap although the operation is not as smooth or as quick as with the Peak Design strap. The key rings fit just right onto the X100F eyelets and the provided leather pads ensure that the rings don’t scratch the camera. It’s not cheap but is a well designed strap and comes in different colours. 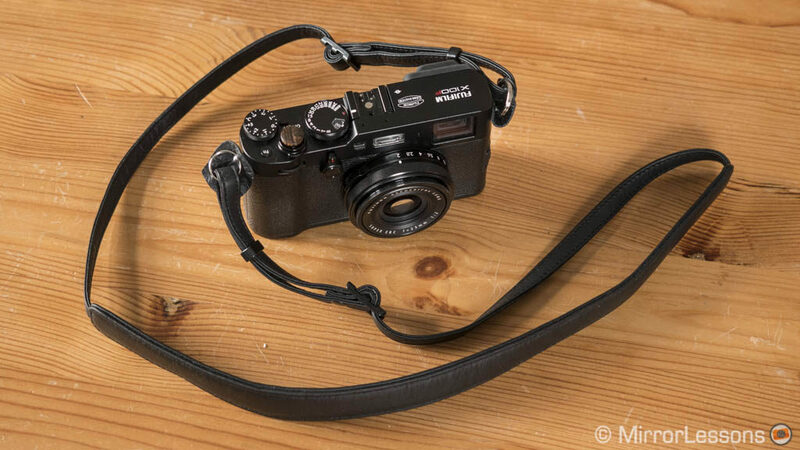 Given the compact design of the camera, a wrist strap can be more than enough if you prefer a short strap and like to carry your camera in your hand at all times in order to be ready to take a shot when the chance presents itself. Here are two of our favourites. 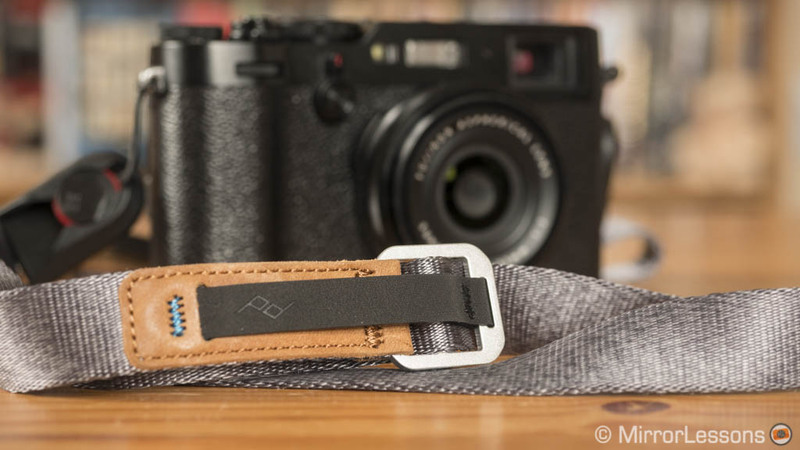 The Nucis Vintage strap has a simple yet comfortable design. 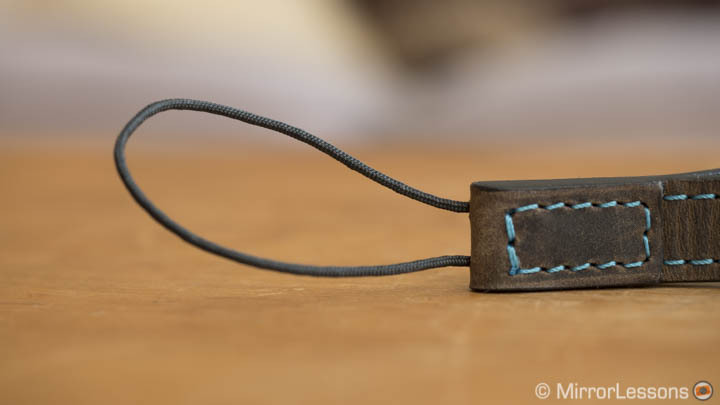 It is made of leather and is stitched by hand. 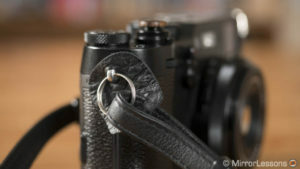 A leather ring allows you to tighten the strap around your wrist and the provided leather disk protects the camera against possible scratches from the circular clip. You can find it in different colours and it is reasonably priced. The Watch is a small wrist strap that suits the size of the X00F series really well. Its increased width at the centre provides good comfort when wearing it, so much that it starts to feel like a natural extension of the camera after a few weeks of use. I wouldn’t recommend it to someone with large hands however as the size can’t be adjusted. It is made of Tuscany leather on the outside and soft foam on the inside. 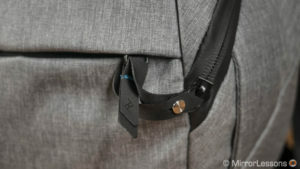 You can attach it directly to the built-in eyelet of the camera thanks to the thin multi core string. It is available in five different colour combinations and comes at an excellent price given the quality. 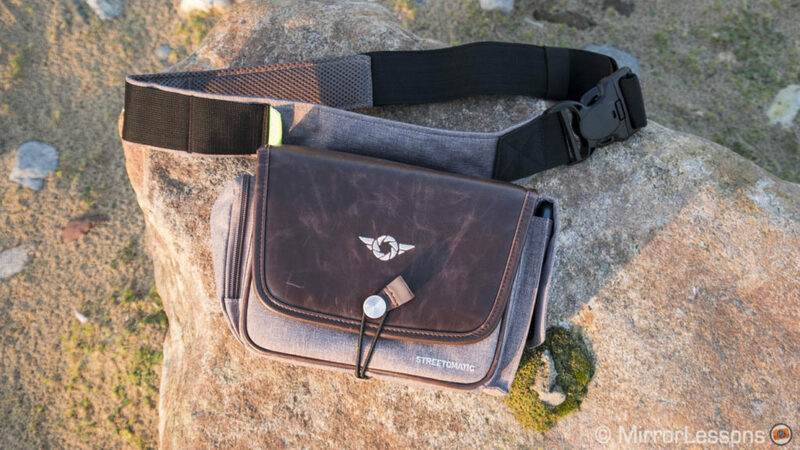 I don’t usually include camera bags in these articles because interchangeable lens cameras also require lenses and extra items. 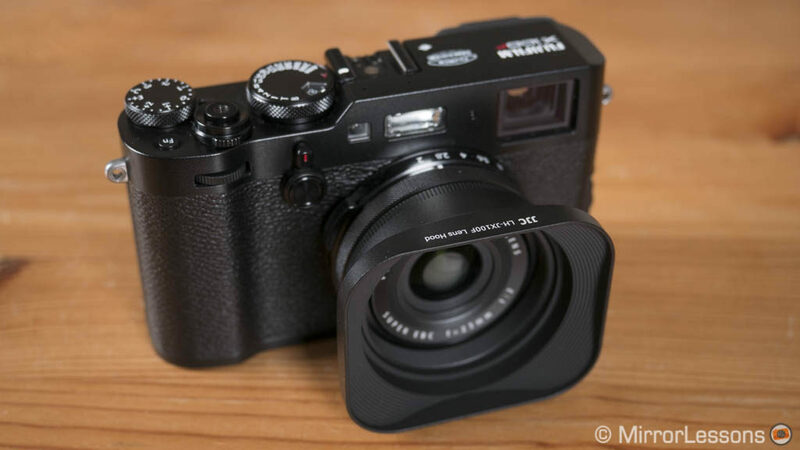 In the case of the X100F, however, I can make an exception due to the nature of the product: it’s a compact camera with a fixed lens which means that you won’t need to bring too many accessories and many of them are reasonably small. So here are two small bags I really enjoy using. The Streetomatic+ is Cosyspeed’s most refined waist/shoulder bag. It is made of Grey Duo-Tone Nylon and brown PU Veggie Leather. 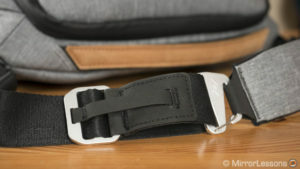 The opening mechanism is really intuitive and can be opened one-handed thanks to the buckle that you slide horizontally. 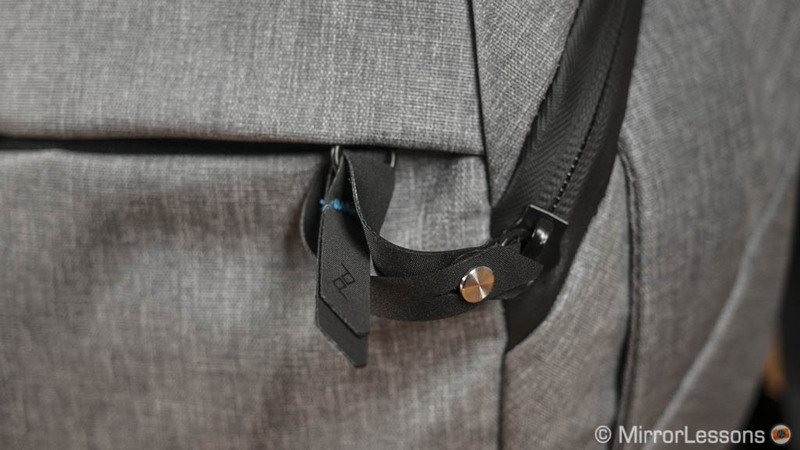 A magnet makes sure that the buckle goes back into place when closing the bag. 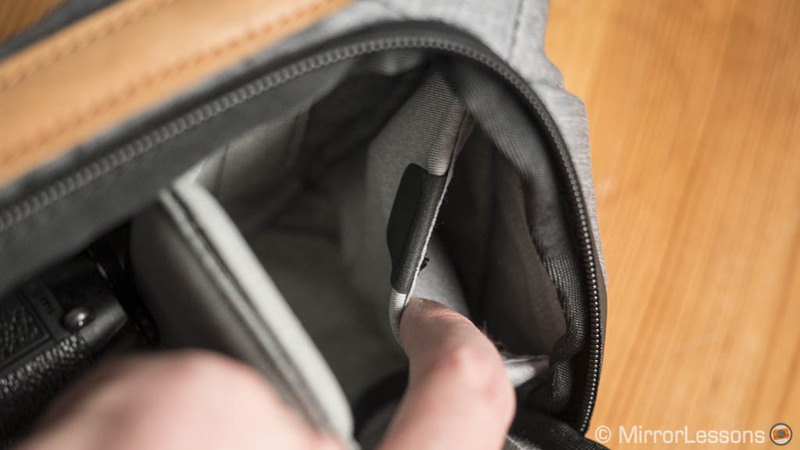 There are two external pockets on the outside and a small net on the inside for small items such as SD cards. The interior is soft and comes with several dividers. 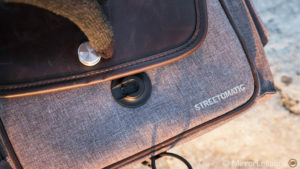 You can carry the Streetomatic+ around your waist or over your shoulder with the belt extensions. 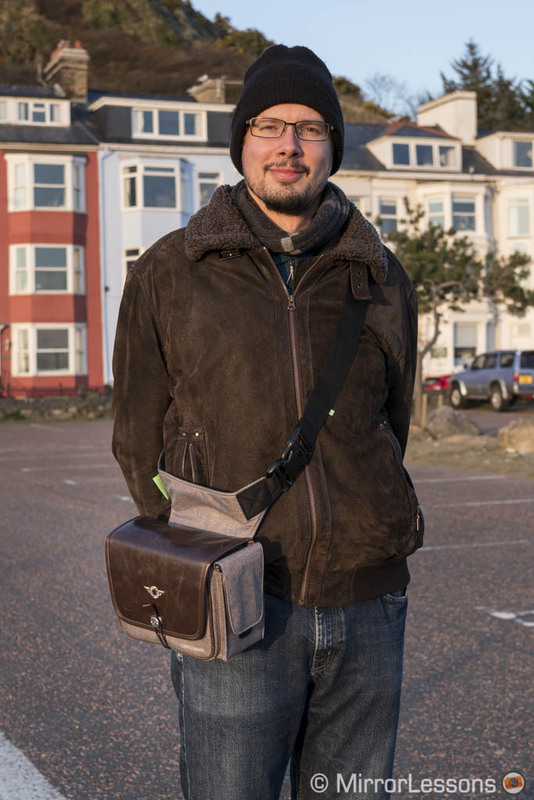 The latter is my favourite solution as I find the bag a bit big to carry around the waist. 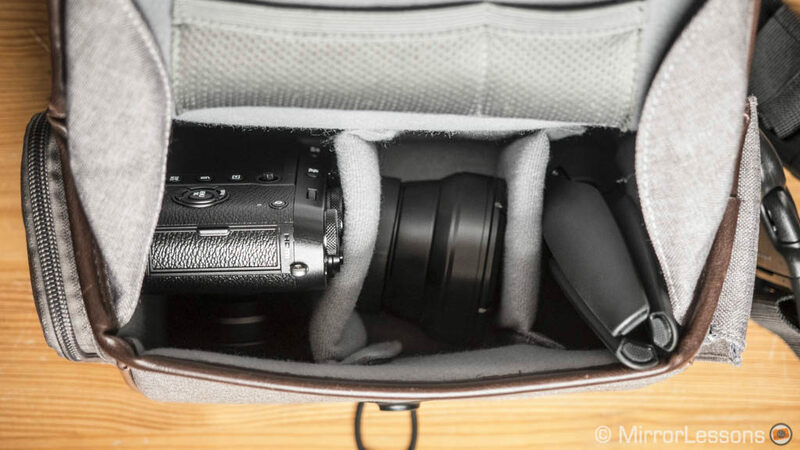 You may find it a little large for just an X100F but if you want to carry around extra accessories or personal belongings, it will give you more room than the regular Streetomatic. It isn’t cheap, but after using it for over a year now, I have to say that it’s really comfortable. 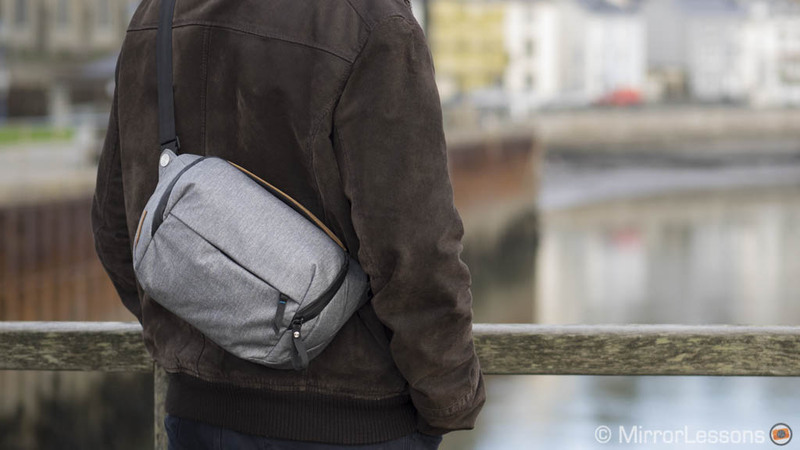 The Sling 5L is a recent addition in the Peak Design line-up and is another good example of a small bag that gives you everything you need. 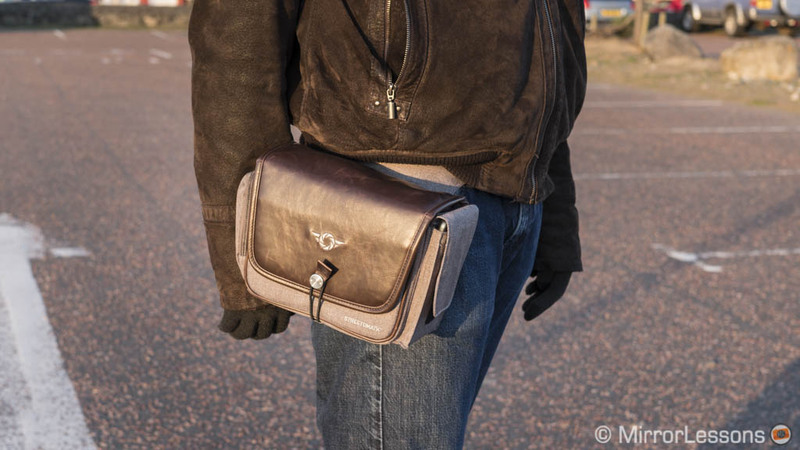 Like the Cosyspeed, you can wear it around your waist or over the shoulder. What I like here is the adjustable strap length. The bag is weatherproof and you don’t need to cover it with a rain pouch. 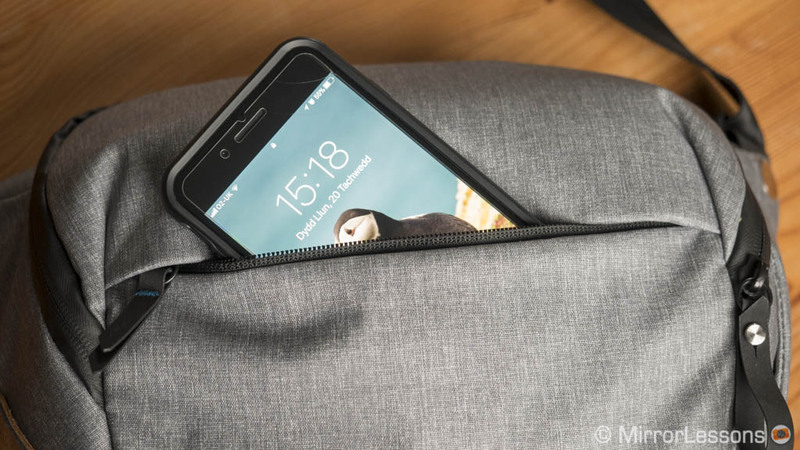 There is a front pocket that can accommodate a smartphone and inside there is room for an 11” tablet and two flex fold dividers that allow you to create three to five compartments depending on how you fold them. 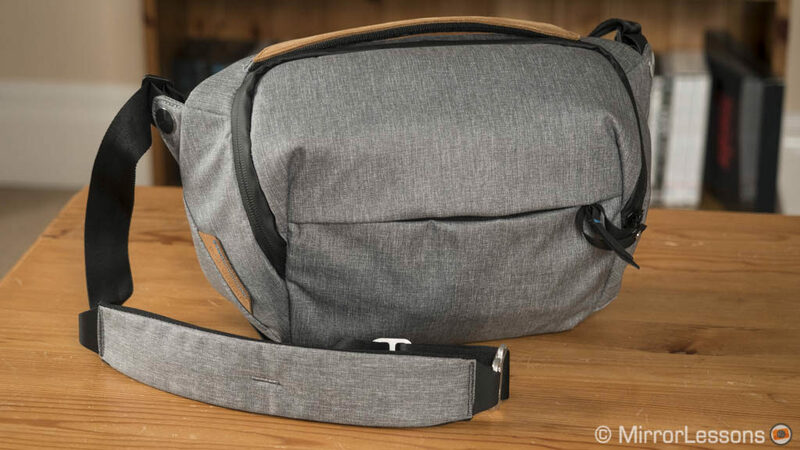 The bag can accommodate the X100F with a hood attached plus the two converters, or the camera, a mini tripod and the converters. The camera with the TCL attached will also fit. There are two internal side pockets that can be difficult to reach when the bag is full. The inner flap compartment is great for storing batteries or SD cards, amongst other things. The only complaint I have about the bag is that the way its main opening is designed makes it more difficult to fit bigger items in any place but the middle. It is a little on the expensive side but you’re rewarded with an excellent build quality and clever features. It comes in black or ash. Now that the X100F uses the same batteries as the X-T2, the battery life has improved a lot in comparison to the old NP-95. Still, keeping a spare battery in your bag is always a good idea. If you find the original from Fujifilm too expensive, then it’s worth taking a look at some third party manufactures. 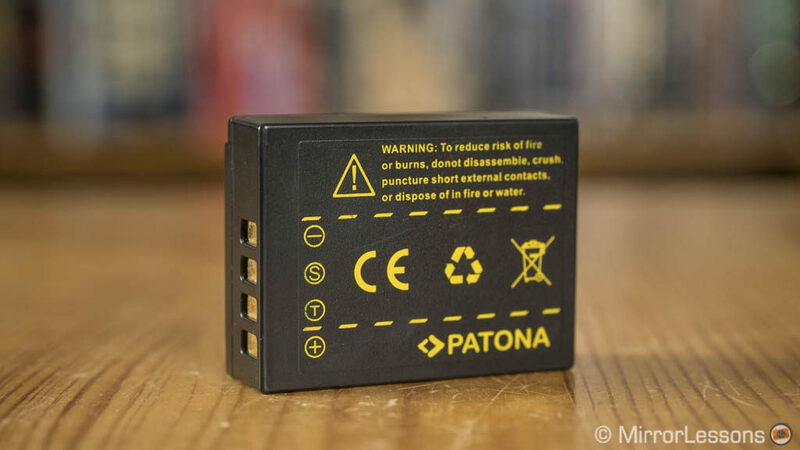 We personally use Patona batteries for many of our mirrorless cameras and the NP-W126 version we bought a few years ago is still working fine today. They are as good as the originals although over the years I have noticed a slight decrease in performance in the case of our sample. That being said, Patona now offers a premium version that is ever so slightly more expensive but offers more amperage. It comes at half the price of the original and you can find deals that include two batteries or a charger. 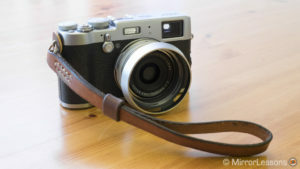 Compatibility with X100 series: the previous models (X100, X100s and X100T) uses a different battery (NP-95) and there is a Patona version for it. I’m breaking the rules here because the Wasabi battery is the only product on this list that I haven’t tested personally. The reason is that they are not available in Europe. They deserve a mention because feedback is very positive. What’s more, they are cheap and can be found in bundles with 2 batteries and charger. 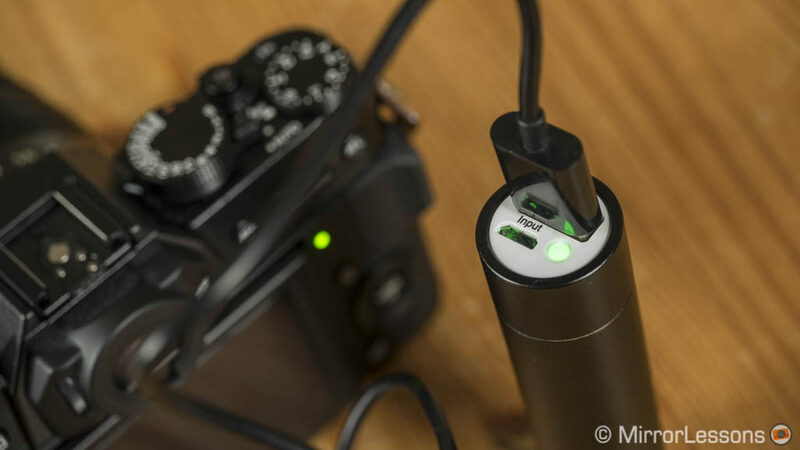 Compatibility with X100 series: Wasabi offers NP-95 batteries for previous models. 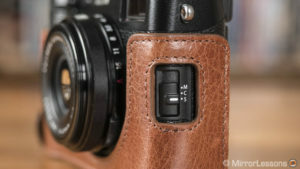 The Fuji X100F can be charged via USB. So if you are travelling and don’t have access to a power socket, a mobile charger can be a great solution. We own the old Anker PowerCore+ Mini which has 3200mAh and is very affordable. You can charge the battery from 0 to 50% in approximately one hour. Leave it two hours and you’ll have a fully charged battery, although the Anker device will be completely empty at that point. You can find different models with various amperages but the prices remain very competitive. 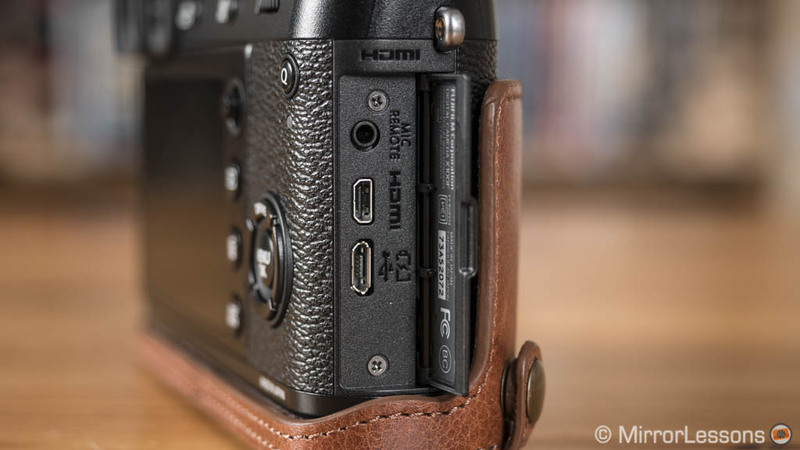 Compatibility with X100 series: only the X100F and X100T can be charged via USB. 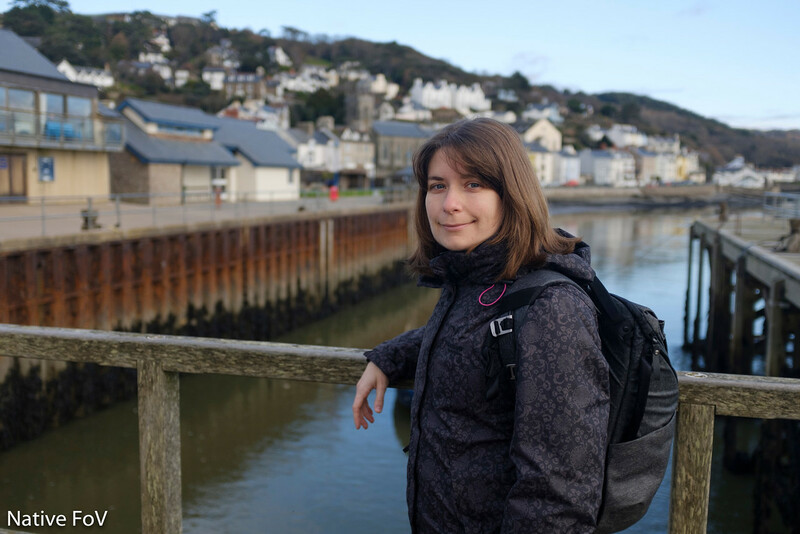 The X100F can be an excellent companion for travel if you can cope with a single focal length and the two converters. 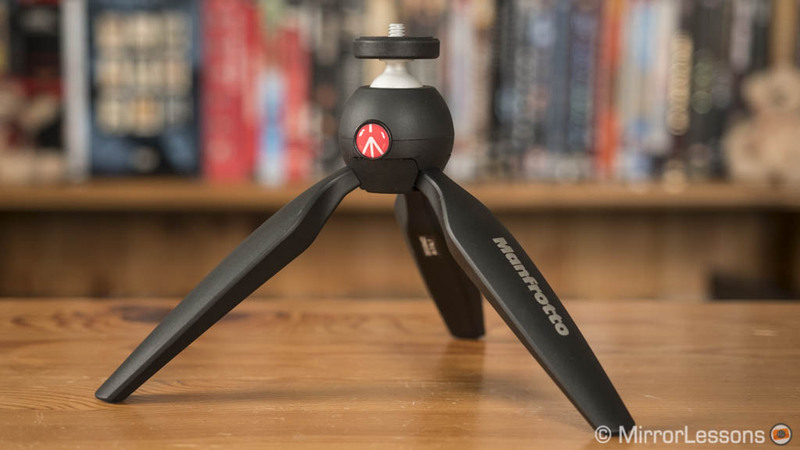 So why not add a mini tripod to the list – after all, they are very easy to carry and give you extra stability for night shots of the city you’re visiting! 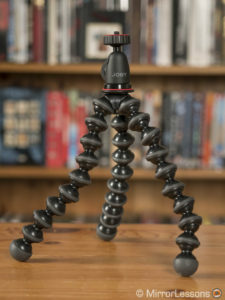 The Gorilla Pod is a clever solution because you can wrap it around many objects thanks to its flexible legs. A street sign, a branch or a handrail can all become an ally in supporting your camera. The legs are strong and the tripod remains still enough once you wrap them around the object. It features a ball head to fine-tune tilting and panning once you secure the Gorilla pod. The standard 1/4”-20 thread is directly compatible with the tripod socket of the camera. 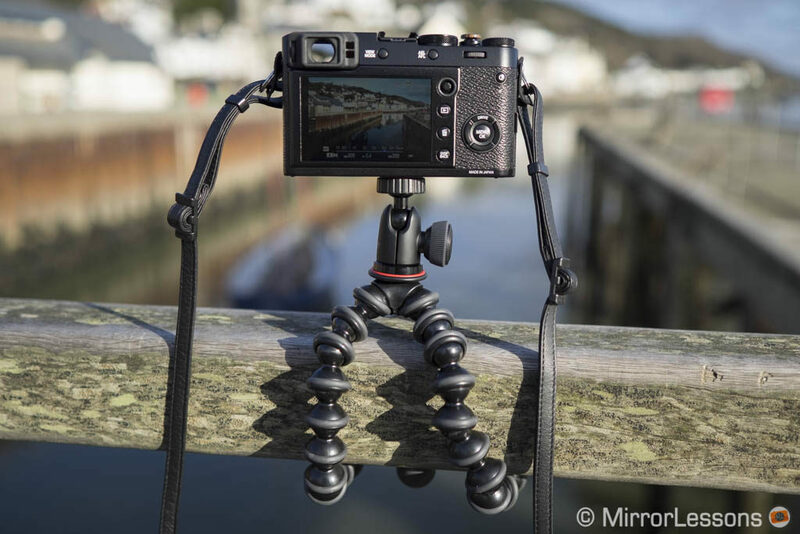 Granted, you won’t get the same precision as with a proper tripod but for casual shooting it’s an excellent lightweight solution. The price is reasonable too. 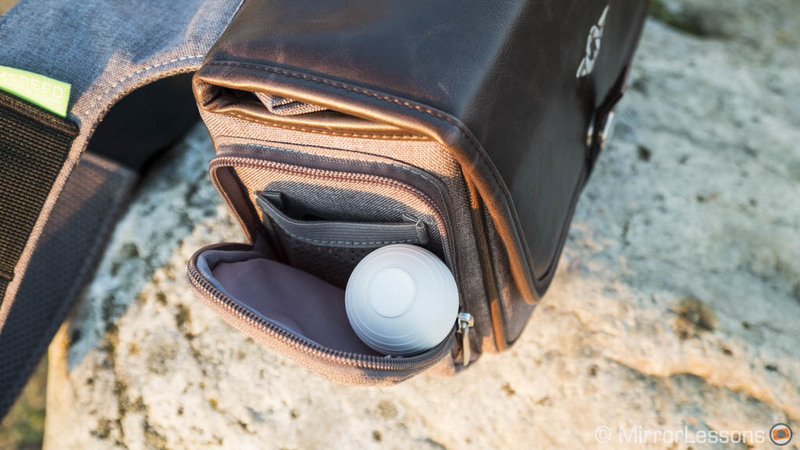 The Pixie is tiny and very easy to fit inside small bags. The three legs are robust but there isn’t a way to lock them at different angles. 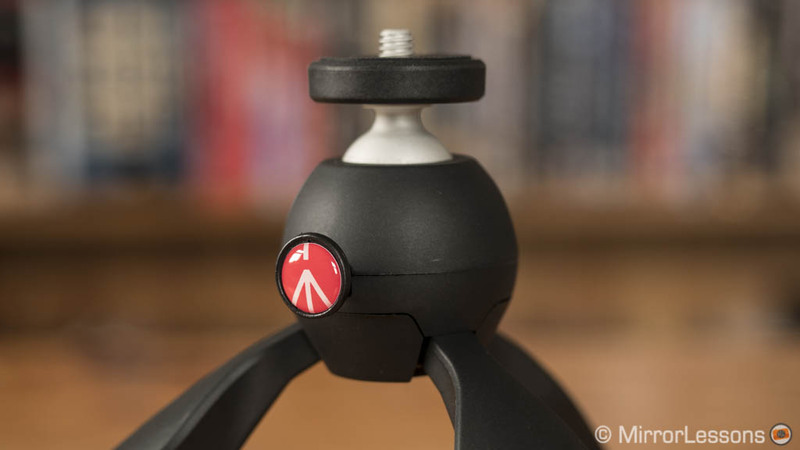 If your surface is very small, you can open them just a little but be careful as the tripod will less stable. To move the ball head and orient the camera you simply push the button on the rear to adjust your composition. The only downside is that you can’t make a 90° vertical orientation. 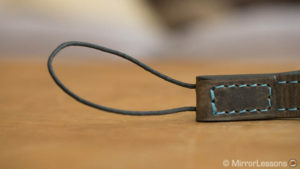 But for less than $20, it’s a more than decent accessory. 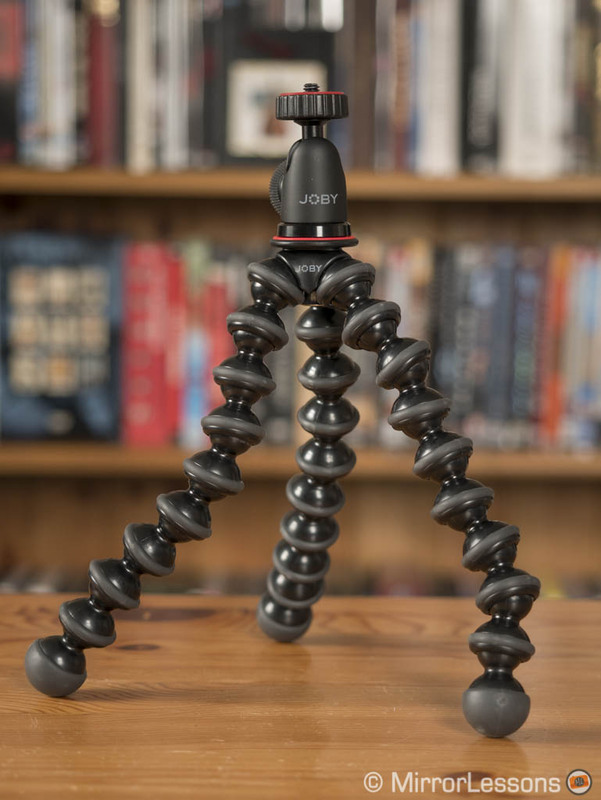 If you want to spend a little more, the Pixie Evo version has extendable legs and a better ball head that allows for vertical shooting. It is also easier to attach thanks to the dial on the mount. 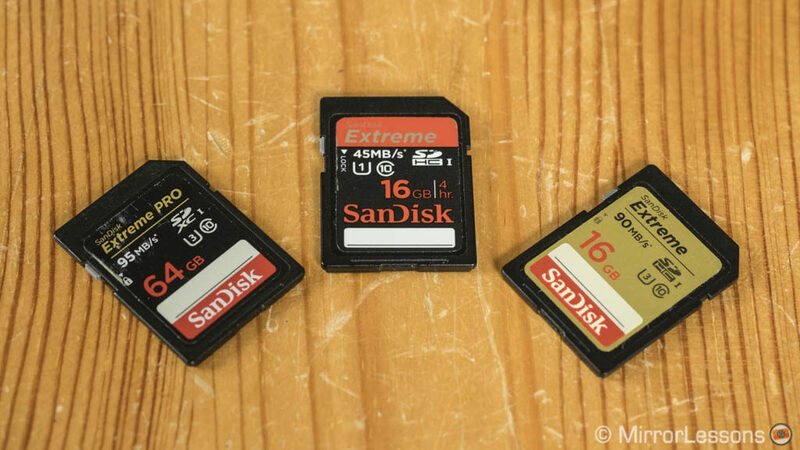 As usual I like to recommend the SD cards I currently use with my cameras. SanDisk has become my favourite brand simply because they’ve never failed me. I have one Extreme Pro SDXC 64GB (U3, Class 10) which is good if you want more space for stills and video. Otherwise, the 16GB and 32GB are good alternatives and can be found for less.